BelarusDigest > All > Military Exercises In Belarus: Potential Aggression or Fighting For Russian Funding? On Friday, a joint Belarusian-Russian military exercise started in Belarus and in the Kaliningrad Province of Russia. For months Polish media discussed whether the exercise is potentially aimed at mounting aggression and even a nuclear arms deployment against Poland and NATO. Neighbouring Baltic states remained more reserved. Only the deputy chief of staff of Estonian army told «Eesti Päevaleht», a major Estonian daily, that he is concerned about the scale of the military exercise, as Russia’s military power has significantly rose in a western direction. Apparently, he meant not the Belarusian forces but rather the Russian part of the exercises. Regardless, Belarus has at its disposal no serious offensive capabilities and the joint current military exercises can be counted as a real demonstration of its humble military might. Ten thousand Belarusian and twelve thousand Russian troops are taking part in this military exercise through Thursday. At first glance, it looks like more than in the previous exercises in 2009. 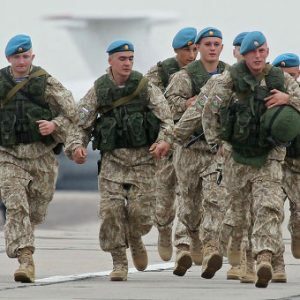 But only 2,520 Russian military personnel will take part in the exercises on Belarusian territory, the rest of Russians will be deployed in Russia. Some military units from Kazakhstan, Armenia, Kyrgyzstan and Tajikistan will also take part in the exercises. In the 2011 military exercises, which were held only in Russia, 6,000 Belarusian and Russian troops took part in the drills. In Zapad-2009 in Belarus and Western Russia, 12,500 troops participated – 6,500 from Belarus and 6,000 from Russia, as well as a small group of Kazakhstani soldiers. In the Belarusian-Russian military exercises in 2006 around 8,800 soldiers participated, 7,000 of whom Belarusian troops and 1,800 were Russian military personnel. Second, the military exercise Zakhad-2013 for the first time embraces smaller military exercises held by the Collective Security Treaty Organisation (CSTO or ODKB). Rapid deployment forces from the CSTO states members have their own tasks and as military analyst Alyaksandr Alesin noted, the point of holding both exercises together is to save money and to improve coordination between their respective staffs. It Belarusian and international media, in particular Radio of Liberty, they talk about a “Syrian scenario” of military exercises as if Belarus would train for the suppression of an uprising by Polish minority in the western regions of the country. Meanwhile, many journalists did not mention that the “extermination of extremist forces” is a plot of only one part of the military exercises. Moreover, this part belongs to the CSTO domain and this organisation is much more concerned about Central Asia and forthcoming takeover of Afghanistan by the Taliban with the next spillover of extremist militancy flooding into Central Asia. To fight Polish guerillas in Belarus is almost as outlandish a task, and idea, as a fighting Martian invasion. Of course, some Polish politicians, like former short-term defence minister Romuald Szeremetiew, as early as in January claimed that the Belarusian-Russian military exercise had been planned to prepare for a possible conflict with Poland after a hypothetical uprising of the Polish national minority in Belarus. But one shall regard such statements in the context of attempts by the Polish military and defence industries to make the government renounce its plans to cut funding for defence. After the disclosure of the plans for a Russian air base in Belarus, Aleh Muslovets of Afn.by noted that Warsaw and Minsk found that by speculating on an imaginary threat emanating from each other, Poland and Belarus can get money from its own allies in Moscow and Washington, respectively. The Polish and Czech elite have a hard time competing for NATO funds and US military aid which goes to such critical places as Afghanistan or Middle East. Minsk has even more frequently failed to convince Russia of its own strategic defensive importance and the Kremlin simply refuses to grant Belarusians arms anymore. Warsaw and Prague hoped in vain that the US missile defence system would increase their importance to the Americans. The strategic importance of Eastern Europe is inexorably diminishing as the Cold War becomes more and more apart of history and Russia weakens. Precise statistics on Belarusian and Russian forces show that they pose no threat for Poland or any other country. Soviet strategy for a European war emphasised the role of tanks and Belarus had more tanks than all other European countries westwards of it together. But these tanks, inheritors of Soviet Union technology, have remained where the Soviet army left them. Belarus is capable of modernising them, yet has no money – and actually no need – to do so. The air force was always a Soviet weak point and while Soviet fighter jets provided reasonable defence, fighter jets and bombers were inferior in comparison to their Western counterparts. As for offensive air force capabilities, Belarus, after decommissioning the Su-24s in 2012, reportedly has only two dozen rather old, Soviet-era Su-25 aircrafts of close air support for ground forces. Most likely, not all of them are functional. The only tangible offensive air force capability is, hypothetically, the four dozens attack helicopters Mi-24 which the Belarusian army nominally possesses. But they all are old and the number of effectively functioning Mi-24s is unknown. The Russian Western Military District forms together with the Belarusian army the Regional Group of Belarusian and Russian Troops. Yet the 20th Army of this District is smaller now after reforms than its famous Taman division before the reforms. Some Russian equipment is newer than what the Belarusians have, yet just by a little. Neither Belarus, nor Russia has any significant offensive military capabilities that can be deployed in a Western direction. Russia theoretically could bring some of its troops from other districts, yet it would dangerously expose itself in the Caucasus, Central Asia or Far East where powerful competitors and a real, rather than imaginary, radical forces are constantly working against Russian interests. It means that when Belarusian and Russian officials say that the military exercises have nothing to do with Eastern Europe, they are probably telling the truth. For Russia it is a rather ordinary training of forces and demonstration to its citizens that Moscow has still some influence in Eastern Europe. It does not matter that such little war games look pitiful against the backdrop of Ukraine preferring integration with the European Union rather that the Russian-led Customs Union. For Belarus this military exercise means an opportunity to train its own armed forces which are – despite some speculations – in a rather decent state when compared to other post-Soviet nations. Having rather sophisticated armed forces helps Minsk to convince Moscow that Russian needs its Belarusian ally. Fuel became more expensive in Belarus, but is still cheaper than in neighbouring countries. Channel BT1 extensively covered a meeting of Lukashenka with the head of Russia’s largest bank Sberbank and the head of Gazprom and Gazprom’s support for social projects in Belarus. State TV also reported that the European Union expressed its interest in rapprochement with the countries of the Eastern Partnership. Recently thousands of Belarusian pupils have shown interest in learning Belarusian language rather than Russian. The voice of Belarus on Syria. State TV reported on a round table of Belarusian experts, a Syrian diplomat, a Syrian businessman and unnamed international experts that took place in Minsk. The participants thanked Lukashenka for his “attention and contribution to a global settlement of the crisis”. A Syrian businessman based in Belarus commented on the Russian proposal to the crisis, saying “we can barely trust the American politicians”. The Belarusian TV channel noted that in the aftermath of the “confrontation between the authorities and armed insurgents, every third citizen of Syria has lost his house”, which amounts to about 7 million people in total. Gazprom sells energy to Belarus and supports its financially. The state channel widely covered the meeting of the head of Gazprom, Alexei Miller, with Lukashenka. Journalists commented that regardless of the bad press it has received, this week proved that the Russian business still had a vital interest in Belarus. Lukashenka also met with the head of the Sberbank of Russia, Herman Gref. The head of the state confirmed that gas supplies would increase in the next year and discussed with Miller the future development of the gas transportation system. At the meeting “special attention was paid to the social projects of Gazprom in Belarus”. Lukashenka thanked Miller for years of support and strong co-operation. In Miller’s words, financial support to social projects in Belarus would increase by 5 times as much”. These social projects relate to sport and cultural events for children, but also support for hospitals. The state TV journalists recalled that the Russian company Gazprom planned to donate 1m USD to purchase expensive modern equipment for Belarusian hospitals. This equipment would help with an early diagnosis of hearing loss in babies. Gazprom was aslo involved in the raising of a new Orthodox Church in the town of Polack. It also supported financially the construction of a house for families with multiple children. It continues to support children’s cultural and sport events. According to the journalist, the Belarus-Gazprom is a “good partnership in both the social and economic spheres”. A new energy supplier to Belarus? The head of the Rosnieft met with the head of Belarusian company Belnieft, Igor Zhylin. They discussed the supply of Rosnieft gas to the “Hrodna Azot”, but also potential supplies to Belarus by the end of 2013 and in 2014. The state supports talented youth. Lukashenka visited the Minsk City Olympic Tennis Centre. The state television reported that the number of Belarusian interested in playing tennis is increasing. The journalist emphasised that Lukashenka had ordered the establishment of a proper system for the selection and training of young talented athletes. Lukashenka wants more Belarusians to be trained and then successfully represent Belarus in international sport events. He stated that the proper conditions should be created for both athletes and trainers. He said, “I cannot understand how we could not train around 50 players”. Green economy in Belarus and Kazakhstan. A forum of Belarusian and Kazakh scholars, diplomats and experts took place in Minsk. The participants of the event discussed alternative energy, bio-resources and the development of more efficient technology. According to experts, transition to a new ecological model would allow not only to increase the GDP of the state, but also to create new workplaces and a completely new branch of production. Lukashenka is concerned about the construction of new houses in Minsk. The head of the state met with the Minsk mayor, Mikalai Ladutka, to discuss the construction of new houses in Minsk. Lukashenka expressed his concern over the long term of construction of the houses. The mayor confirmed that in the next year nearly 1 million new houses would show up in Minsk. More expensive fuel, but in other countries it is worse. Prices for fuel increased in Belarus. According to experts, “this increase is related to an increased excise rate of the petrol”. At the same time, experts stated that after the increase, prices in Belarus still would be lower than in other countries of the Customs Union. In Ukraine a litre of fuel costs $1.34. In Poland and Lithuania pay over $1.80. The fuel in Belarus costs slightly over $1 per litre. The European Union rapprochement? Belarusian state television reported that the plenary session of the European Parliament encouraged the countries of the Eastern Partnership for rapprochement. It said the EU would “be searching for a way for a normative rapprochement also with the members of the Customs Union”. Stephen Fule, a commissioner responsible for the enlargement of the union and European neighbourhood, said that “EU is interested in traditionally strong relations with its Eastern neighbours and with Moscow”. The state TV added that Brussels would help the Customs Union to adjust the standards and norms to meet European and worldwide law regulations”. EU supports Belarusian border service. State television informed that the EU supported Belarus with new equipment to operate its border service on the Belarus-Ukraine border. The journalists pointed out that the EU helped within a project of international technological assistance. It added that a vector for Belarus-Ukraine interests the Europeans for a good reason. The border is difficult to control and became recently popular way for illegal migrants and “uninvited guests” on their way to the EU. The border service guards say that the new equipment is not just a luxury, but a necessity to decrease border crimes. In total, the EU budget for the international technological assistance for Belarus-Ukraine is estimated to be around 1.3m EUR. 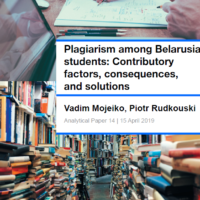 Education in Belarusian is getting more popular. State TV reported that a thousand pupils have begun their education in the Belarusian language. Already 14 schools in Minsk, and in 200 other places across the country, are offering education exclusively in Belarusian. 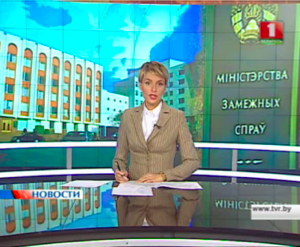 The TV channel added that it was “possible also to study in Belarusian abroad. Today Belarusian schools exist in neighbouring Lithuania, Latvia and Poland”.